Olay Anti-Wrinkle’s targeted solution minimizes the appearance of wrinkles, so you can laugh in the face of wrinkles. 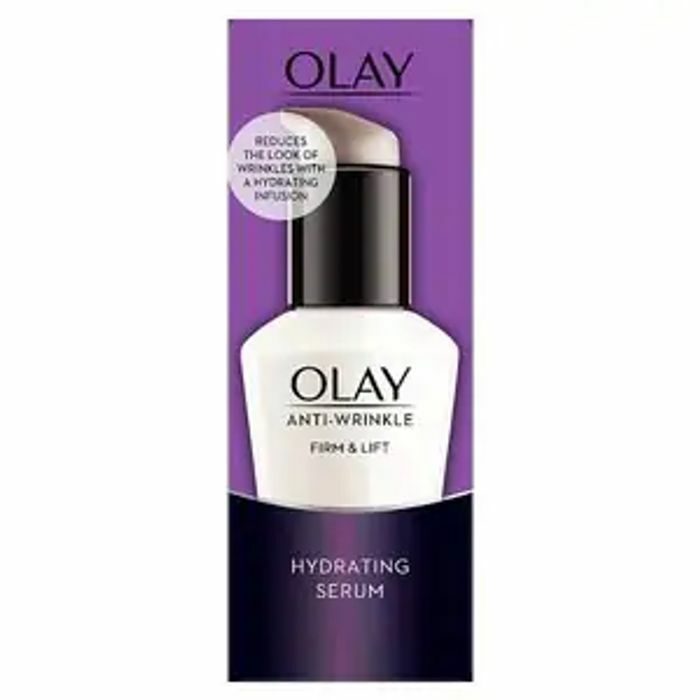 Olay Anti-Wrinkle Instant Hydration serum instantly lifts out fine lines and smoothes skin's texture for a silky smooth feel. It infuses your skin with hydration throughout the day and helps lock moisture in as on younger skins signs of ageing are typically triggered by dehydrated skin. Olay’s Ocean Botanical Complex contains purified Marine Fennel extract, one of Nature’s most powerful anti-oxidants. The lightweight formula with anti oxidants helps not only to lift out fine lines but also protect from free radical damage.